(Phys.org)—The predictive power and galvanizing influence that theoretical models routinely enjoy in physics is only rarely replicated in biology. Lord Raleigh's theory of sound perception, Francis Crick's sequence and adapter hypotheses, and Hodgkin and Huxley's model of the electrical dynamics of neurons are a few notable exceptions that have gone on to spawn entire scientific industries. Although it is hard to find comparable mechanistic drama unfolding in our current century, Luca Turin's vibrational theory of olfaction has been a persistently fertile seed that has now ripened into a contentious fruit. One way to judge a theory is by how hard its detractors work to disembowel it. Last year, one group went so far as to express human and mouse olfactory receptors in an in-vitro kidney cell preparation to see if deuterated synthetic musks with altered vibration signatures gave different responses. That group, perhaps not surprisingly, didn't find a whole lot to support the vibration theory. Now, a study using live honeybees did. A group at the University of Trento led by Albrecht Haase was able to prove by direct imaging of the brain that the bee olfactory system can clearly distinguish odorants with different vibration frequencies despite having identical shapes. To do this the researchers used isotopomers of four different odorants (isoamyl acetate, octanol, benzaldehyde, and acetophenone) that were variously deuterated at the hydrogen spots. How do these guys even come up with the odorants for studies like this you might ask? Given the exclusive nature of these investigations each odorant is put through a tough vetting process, the full details of which are only very rarely revealed. For example, the isoamyl acetate happens to make honeybees go bananas. As one component of the honeybee sting package, this volatile ester acts as a pheromonal attractant to recruit other bees to the cause. It also is the primary component in banana oil flavoring. The octanol is an 8-carbon long citrusy-orange alcohol which comes in no less than 89 different isomers. The researchers used the 1-octanol version which is conveniently available in full deuteration at all 17 hydrogen spots. The benzaldehyde, used for imitation almond extract among other practical things, has a special place in olfactory science as the simplest aromatic aldehyde. If you swap in a CH3 for the hydrogen on the aldehyde group you get acetophenone, the simplest aromatic ketone. This minor alteration promptly elevates the human olfactory experience to one of cherry, honeysuckle, and jasmine—a regular fruit stripe gum of a molecule. The 'responses' that were measured in these studies were two-photon calcium imaging signals generated in the honeybee olfactory glomeruli in the 2 seconds after the odorants were applied. A critical point (at least for the vibrational theory) was that the deuterated forms, particularly those expected to give different bee responses, should in the least have a unique, machine-measureable vibrational character. In other words, that the IR spectra of the deuterated forms, as determined true-to-life in a gaseous carrier, should have observable peaks that are clearly separated from the non-deuterated forms. Practically speaking, having 'clearly separated peaks' means we must make allowance for the fact that any flesh and blood spectroscope operating in the nose would presumably be addled by background thermal fluctuations (at 37 °C) of the order of kT/hc. In terms of wavenumbers this translates to ≈ 215 cm-1. As the relevant molecular vibration spectra extend up to wavenumbers of only around 3300 cm-1, this could be a stringent limitation—particularly in the lower so-called 'fingerprint' region from 500-1500 where there is typically a relatively high density of bending-mode peaks. Fortunately, the higher wavenumber region for these odorants is sparser, and has well-separated bond stretching peaks. The thermal filter effect of a 215 cm-1 wide signal homogenizer proved to be a game ender only for the isoamyl acetate. This was not entirely unexpected because the molecule used was only deuterated at three positions. Correspondingly, the differential responses obtained with isoamyl acetate were much less significant than with the other odorants, both across different glomeruli and bees alike. For the benzaldehyde and octanol odorants the researchers found two iconic glomeruli with a particularly telling response; In one the normal non-deuterated form of benzaldehyde gave hardly any activation in the glomerulus, while the deuterated benzaldehyde triggered a large positive response. In the other, normal octanol caused activation of the glomerulus while the deuterated form caused inhibition. Considering the close structural correspondence between isotopomers, the experimental truths observed here would be difficult for even the most ardent adherent to the shapist receptor philosophy to sweep under the rug. The authors observe that the shape-independent discrimination capabilities they found can not be dismissed as idiosyncratic to a few peculiar olfactory receptors, rather, they are a more general feature of ligand-receptor interaction. Much of the palpable in-house derision that members of the larger olfactory and neuroscience communities routine reserve for the vibrational theory might be traced to a deeper, more insidious fear: despite exhaustively focused efforts, they have no idea how receptors actually work. In other words, an overarching predictive theory of the caliber alluded we alluded to above to guide experiments, not just for olfaction, but for all protein-based receptors, does not yet exist. In applying itself to the task of quickly (in evolutionary time) coming up with and artfully deploying 'universal detectors', whether it be antibodies for antigens, G-protein coupled receptors (GPRCs) to manhandle light-toggled nanolevers and tunnel electrons through air landed treasures, or transient receptor potential channels (TRPs) to personally touch everything on the spectrum from mentholic chill to capsaicin warmth or the viper's pitted IR to our own melanocytic ultraviolet, Nature has unleashed her unbridled imagination. To unmask what we might fancy as the basic principles Nature uses in 'biological detection', the hard part doesn't seem to be the problem of setting the proper parameters for passively binding familiar things, but rather that of rapidly modifying or otherwise proliferating an old generic protein hand, and then bending it to some new need. That unfamilial task might be capturing novel hint of some ray, quanta, field, or polarization, or cocking and setting itself in some new fashion to actively probe a new partner with a new jiggle. To shed light on how we might best use comparative phylogenetic methods to sort the greater olfactory receptor protein extended family, consider something we now understand quite well—the ribosome. Figuring out exactly how the ribosome evolved from a primitive nonspecific peptide synthesis jig into a finely discriminating selector that fully enforces a rigorous genetic code upon the entire biosphere took more than looking at sequence homology. That all works fine for the short run, but sequence alone quickly exhausts itself in the deep evolutionary time. 3D structural homologies, on the other hand, generally get you a bit further back. Far enough in fact to trace every key innovation in the ribosome. Those provisions include everything from powering the peptide transfer cores with GTP hydrolysis and templating instruction with geometrically-enhanced mRNAs, to full blown cofactor virtualization via a system of exchangeable tRNAs and their massive synthetase support crew. Sequence and structure analysis which worked so well for understanding ribosomes still has much to offer us in trying to crack olfactory reception. For example, the more refined deuterostomes like urchins and humans parted ways some time ago with protostomes like the honeybees and fruit flies that are conveniently used for study. Where we predominantly use GPCRs in our nose, they prefer to employ more direct-ionic receivers which lack obvious homology with our messenger systems, subunit composition, targeting methods, and terminal group positioning. Many other organisms, like the worm c. elegans, are somewhere in the middle as far as odor detection. Full qualification of their own unique receptor suites awaits. But beyond these tools, we also need to exercise comparative phylogenetic imagination, hack new theory, and hazard wanton inference. For example, in looking to related senses we know deuterostomes have a sweet spot for microtubule-based photoreceptors whereas protostomes have always gone for actin based microvillar structures in their photoreceptors. Familiarity with both sensory systems suggests and constrains ideas regarding how their respective receptors detect and then signal. Knowing for example, that a particular olfactory receptor which is normally expressed on an urchin sperm links to a cytoskeletal system more apt to creep about than swim may not constitute a theory, but it might be a critical endpiece in someone's puzzle. In applying hard limiters to classify the protein kits we find in cells—namely as receptors, enzymes, and ion channels—we end up with quite a salad of their associated protagonists; Depending on how they act or excite we give them names like ligand, prosthetic group, substrate, or even potential. The most versatile of our enzymes typically flex tiny vitaminized nucleotide derivatives at their core. 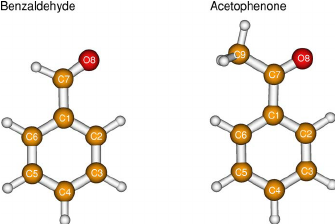 Many of these primordial 'coenzymes' in turn nest a single metal ion knife edge that by nature of its coordination chemistry originally had some inherent penchant for catalysis within the prevailing geochemistry of the day. This predictable progression in the complexity of enzymes precisely mirrored that of their granddaddy, the ribosome. By accreting its own product, the ribosome gradually proteinized the least RNA snippets possessing the kernel of catalytic function it needed, culminating in the most massive synthesis conglomeration we find in all phylogeny—the human ribosome. Perhaps surprisingly, the now sophisticated receptor ion channel culture in our cells similarly accrued around another fundamental nugget—the leakiness of bare membranes. The Hodgkin and Huxley models mentioned above, which work well for the describing the electrical dynamics of spikes, unfortunately have little to say about other critical aspects of pulsating membranes (like heat capacity, enthalpy, and compressibility), and nothing of the thermodynamics of the spontaneous self-assembly of their proteins and lipids. Some clues to a way forward from our current position were recently suggested by Shamit Shrivastava. Reaching back to re-examine some critical ideas from the mind of none other than the man first intuited the existence of gravity waves, Shamit recalls Einstein's conception of a 'complete molecular mechanical theory'. Einstein's key practical intuition was to invert Boltzman's principle (which he felt was meaningless lacking a microscopic distribution function), and use an experimentally obtained formulation of entropy to deduce the distribution function. These arguments appear in Einstein's 1910 paper where he also defines a quantitative link between critical opalescence and Lord Rayleigh's Rayleigh scattering. Explaining these two phenomena in terms of density fluctuation in a fluid mixture approaching its critical point Einstein effectively solved the question of why the sky is blue. To now solve the questions of why fish is fishy and sugar sweet we await someone with an inordinate fondness for terpenoids to imagine sitting on a molecule of carvone.